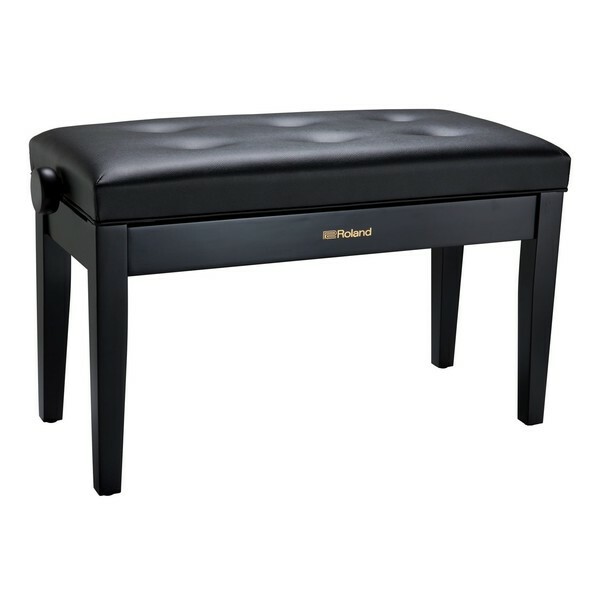 Roland RPB-D300BK Piano Bench comfortably fits two people, which is ideal for accompanied playing and tutoring. It's height adjustable with a rotating knob and a padded cushion supports your posture. The RPB-D300BK benefits from a durable solid wood frame.